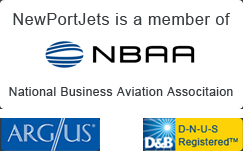 Newport Jets is a top private jet charter company serving Detroit, Michigan. Our team of Detroit private jet charter specialists are pros at scheduling and creating private jet travel flights in and out of Detroit. We are ready and waiting to provide first class local jet charter services to Detroit – and to create the perfect private, luxury travel experience. We not only handle your flights but our professional concierge team can recommend wonderful places for you to stay in Detroit. We have a large selection of Detroit aircraft including the luxurious Gulfstream G550 to the Learjet 31; Newport Jets has just the right private jet aircraft for your travel to and from Detroit. Our charter jet team specializes in booking jet charter flights to and from Las Vegas, Los Angeles, New York, and Dallas – as well as hundreds of other domestic and international locations. Detroit is the largest city in the state of Michigan and a major port city on the Detroit River. It’s known as the world’s automotive center. Detroit is known for popular music and has legacies celebrated by the city’s two familiar nicknames, Motor City and Motown. The Detroit area has many new developments and attractions, and world-class museums and theaters. Metro Detroit offers a wide variety of things to see and do and is possibly the most exciting travel destination in Michigan filled with technologically advanced buildings and historic charm. Midtown-New Center is the city’s cultural center, home to several world class museums and galleries. The area is also home to some great 1920s architecture. It is probably the most unique destination in Detroit. Downtown Detroit features the GM Renaissance Center, which includes the tallest hotel in the Western Hemisphere, the Detroit Marriott, with the largest rooftop restaurant, Coach Insignia. Many restaurants emanate from the Renaissance Center, Greektown, the arts and theatre district, and stadium area. Joining the east riverfront parks, the city has the 982-acre Belle Isle Park with the large James Scott Memorial Fountain, historic conservatory, gardens, and spectacular views of the city skyline. Detroit has a rich architectural heritage, such as the recently restored historic Westin Book-Cadillac Hotel, the Guardian and Fisher buildings with exquisitely ornate interiors and exteriors, the Detroit Institute of Arts (top five museums in the country) to name a few. In 2005, Detroit’s architecture was heralded as some of America’s finest; many of the city’s architecturally significant buildings are listed by the National Trust for Historic Preservation as among America’s most endangered landmarks. Charles H. Wright Museum of African American History holds the world’s largest permanent exhibit on African American culture. Hitsville U.S.A. was Motown Records’ first headquarters. Berry Gordy founded it in 1959, and all of the Motown hits were recorded here. Today, the building houses a museum of the history of Motown Records. The Henry is ranked a top business hotel in Dearborn, Michigan. The hotel is known for fine art, great service and super comfortable luxury. The luxury, business hotel is located central to both downtown Detroit and only minutes from Ford Motor Company headquarters.